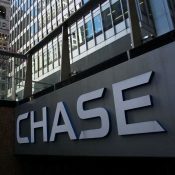 JP Morgan Chase aims to funnel a staggering $200 billion into sustainability efforts by 2025, primarily by supporting wind and solar projects around the world; but a sustainable economy needs more than just renewable energy. It needs healthy forests, farms, and fields; and the bank has a history of supporting the restoration economy that supports these. 31 July 2017 | Earlier this month, JPMorgan Chase committed to funneling $200 billion into sustainable development projects between now and 2025. That’s an amount equal to all the green bonds expected to be issued this year, according to Moody’s Investor Services, and it represents about $20 billion per year in clean energy finance, up from roughly $15 billion that the bank handled last year. The commitment is as much a declaration of faith in the financial viability of the renewable energy sector as it is a commitment to do good, but sustainability finance goes well beyond wind farms and solar power installations and includes the $25 billion “restoration economy”, which pays 220,000 people in the United States alone to plant trees, restore rivers, and turn soggy, unproductive farms into wetlands that filter water, purify air, and slow climate change. This is the next frontier of sustainability finance, and JPMorgan Chase has a promising history of supporting it. The bank, for example, provided the bulk of the funding for NatureVest, which is The Nature Conservancy’s conservation investing unit, and it helped Ecosystem Marketplace publisher Forest Trends launch the “State of Private Investment in Conservation 2016” report, which identified more than $8 billion flowing into for-profit conservation efforts. Among that report’s findings: even impact investors, who are trying to invest for both profit and the common good, need reliable risk/reward estimates to proceed. Those estimates exist for renewables, and we as a society can create them for the restoration economy as well. Government clearly has a role – after all, the restoration economy only exists because companies that damage our environment are required by law to make the land whole – but consumers and the private sector have their roles to play, too, and nearly 500 major consumer-facing companies have promised to improve the way they source palm oil, soy, timber&pulp, and cattle products, according to the Forest Trends Supply Change initiative. Unfortunately, the banking sector has generally been a weak link in this effort: the Tropical Forest Alliance points out that all the zero deforestation commitments in the world will come to naught if banks continue to finance projects that contribute to climate change or drive deforestation. The Alliance has long argued that bad environmental actors are bad financial risks, but that risk will only materialize if governments, consumers, and NGOs hold companies accountable for their actions. In January, Greenpeace pointed out that banking giant HSBC was part of a collection of banks lending billions to six companies that were accelerating climate change by turning rainforests into palm oil plantations. HSBC responded by revising its lending criteria, and last month it asked the Roundtable on Sustainable Palm Oil (RSPO) to investigate reports that a company the bank was lending money to was guilty of deforestation. But banks are not philanthropic endeavors. Whether avoiding risk or gravitating to opportunities, they respond to signals from society. That Ecosystem Marketplace report that JPMorgan Chase financed showed that impact investors left over $3 billion undeployed last year, in part because the risk/reward scenarios in sustainable land use aren’t as clear as they are in renewable energy. The challenge now is to create a vortex of risk, reward, and common good that attracts that money and helps us evolve a truly sustainable economy.